Segun Adeyemi, Abuja: President Muhammadu Buhari said his Administration has recorded concrete achievements which are there for all to see, contrary to the opposition’s statement that the Administration is running on propaganda and lies. The President, who was represented by the Minister of Information and Culture, Alhaji Lai Mohammed, made the assertion at the opening of the two-day Nigeria Governors’ Forum Conference for Media Handlers of States’ Chief Executives in Abuja on Monday. 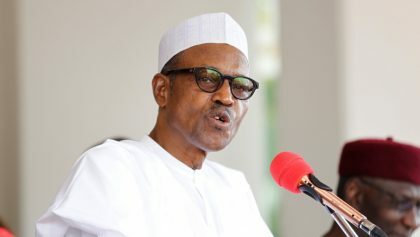 Providing facts and figures, the President listed the Administration’s achievements in ending subsidy and yet ensuring the availability of petroleum products; in raising power generation, transmission and distribution, in the massive provision of infrastructure; in tackling insecurity and making a success of the agriculture revolution, among others. “Those who accused this Administration of ‘propaganda and lies’ in the fuel supply sector, for example, did not tell Nigerians that whereas they paid between 800 billion and 1.3 trillion Naira as ‘subsidy’ yearly in their time, without making the products available even at regulated prices, this Administration is not paying any subsidy, yet all products are currently available at competitive prices and fuel queues are now history. In their time, they paid subsidy of 3.7 billion Naira daily in 2011; 2.2 billion Naira daily in 2012 and 2013, and 2.5 billion Naira daily in 2014, all for products that were never available. power and 1.8 billion Naira for Housing in 2015 are now accusing those who spent 198.25 billion Naira on roads, 91.2 billion Naira on power and 71.559 billion Naira on housing in the following year of non-achievement? The President also said highlighted the achievements that have been recorded by his Administration in the area of the Economy, wondering whether it is ‘propaganda and lies’ that headline Inflation has now fallen for the eighth consecutive month; that foreign exchange reserves are up to $32 billion, from $24 billion a year ago: that oil production is at nearly 2 million barrels per day and that Home-grown School Feeding Programme now being implemented in 17 States is benefiting more than 3 million public primary school children and more than 30,000 cooks across 20,000 schools. He said close to 200,000 youths are now benefiting from the N-Power Programme, which recruits unemployed graduates to work as teachers, agricultural extension workers, and health extension workers; that the Government Enterprise & Empowerment Programme (GEEP), which provides micro-credit to farmers, traders, and artisans, now has in excess of 1 million beneficiaries, with women accounting for 56% of that number, and that at about $1.8 billion, the capital inflows in the second quarter of 2017 were almost double the $908 million in the first quarter. “If our achievements are based on ‘propaganda and lies’, as they claim, why is our agricultural revolution achieving so much success: We have commissioned the 120,000 MT per annum WACOT Rice Mill in Argungu, Kebbi State. We have commissioned the 60,000 MT per annum Edo State Fertilizer Company Limited. What about the commissioning of OLAM’s 750,000 MT per annum Integrated Poultry Facility in Kaduna State? Do you know that 15 moribund Fertilizer Blending Plants have now been revived and in operation across Nigeria, under the Presidential Fertilizer Initiative, creating 50,000 direct jobs and 70,000 indirect jobs?” the President asked. He said when the Administration assumed office in 2015, Boko Haram was active in at least 10 states, could stroll into Abuja at a time and target of their own choosing to cause maximum havoc, in addition to holding territories and collecting taxes. “Today, Boko Haram has been so degraded that it lacks the capacity to carry out any organized attack, while also increasingly losing the capacity to even attack soft targets. Importantly, Boko Haram no longer holds any territory. The same vigour is being used to address the herdsmen-farmers’ clash, kidnapping for ransom and other crimes,” the President said. He said the biggest challenge facing government information managers is how to project the achievements of their principals against the background of worsening cases of disinformation and fake news, adding that the best way to tackle the problem is to remain focused, refuse to be distracted or intimidated and also to use facts and figures to counter the purveyors of disinformation and fake news.